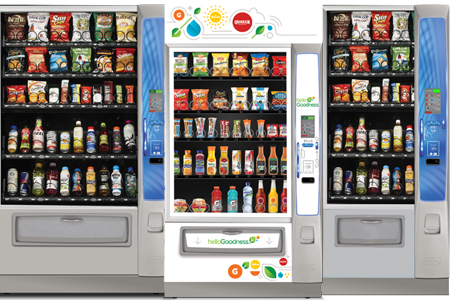 Global provides vending solutions that offer variety and convenience with modern features and designs to fit any size Florida breakroom. 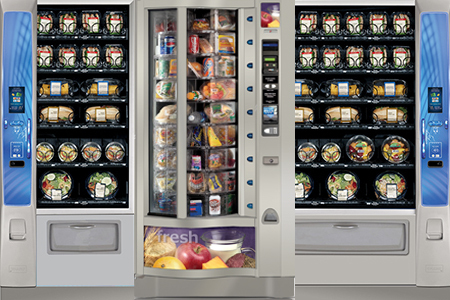 We are the Florida break room experts, bringing you state-of-the-art vending machines filled with the perfect balance of indulgent, traditional, and healthy vending selections. 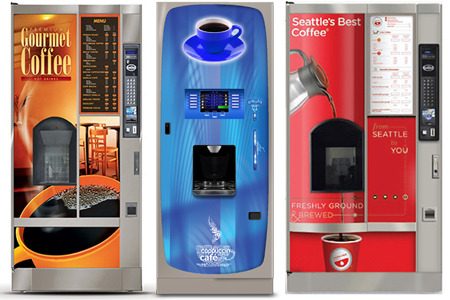 Our customers are important to us, so we offer specialized vending machine options to serve you and your clients better. 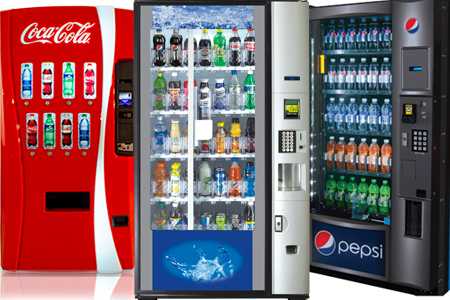 Global Vending Service offers top-line snack and candy vending machines, cold beverage vending machines, food vending machines, and hot beverage vending machines with the latest in wireless technology and cashless payment options. If you are looking for micro-market (self-checkout breakroom), we have been building markets for over 20 years. Your new "on site convenience store," will be designed, built, and installed exactly to your specifications, by our expert staff. We are locally owned and operated - you will deal directly with the owner - who has over 35 years experience in the food service industry. 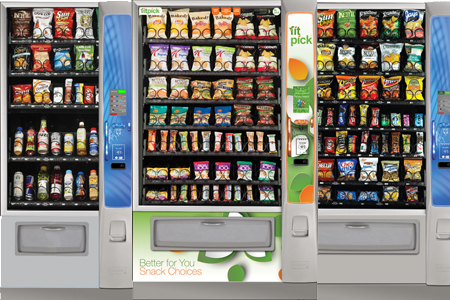 If You're Looking For an Array of Vending Machine Options, We Can Satisfy. Chips, pastries, gums, mints, candys, cookies and healthy selections in modern, reliable machines. Your location can get a mixed selection of beverages including carbonated, flavored waters, juices, energy drinks, etc. Offers the largest selection of snacks, pastries, fresh food & beverages in the same merchandiser - great space-saver! A great solution for employees that don't want to the leave the premises or need a healthier eating alternative. New equipment brings an in-office coffeehouse experience - deliver customized coffee and cappuccinos at the push of a button! 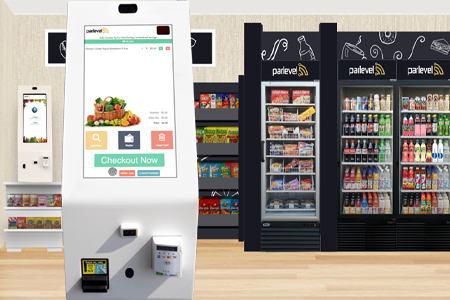 Make hundreds of products conveniently available to employees or students with a more open concept self-checkout breakroom.